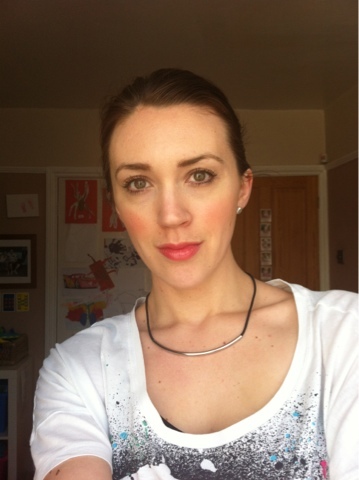 I've been trying some more KORRES makeup lately and love the fresh spring look which I've been creating. I've been using their popular talked about Ginger & Vitamins Foundation SPF10, with Peach colour blush and also they're gorgeous pigmented single eyeshadows. Not to mention how often I'm applying and using their luscious lip butters and lip butter sticks! 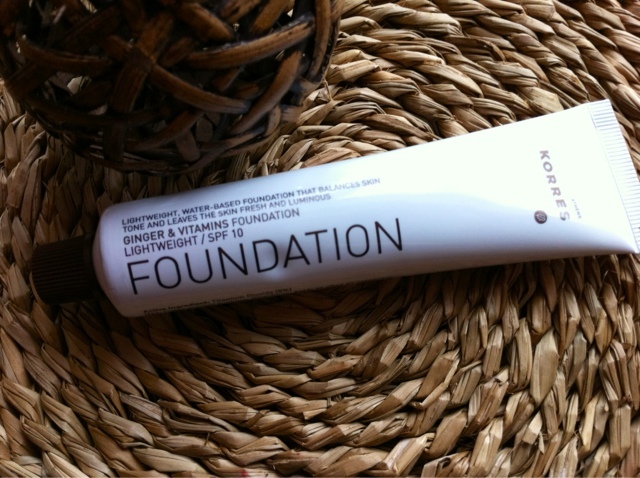 I've read some great reviews abou the Korres Ginger & Vitamins foundation, since the weather has come to bless us I've been reaching for this lightweight foundation. This is perfect for myself, I always feel like I need something on my face but in the spring/summer I'm happy for a lighter coverage. Another bonus is the SPF10 which is good especially with the hotter weather, I'm often in the garden now when the sun comes out because of the little ones. I use my e.l.f flat top powder brush to apply the foundation. 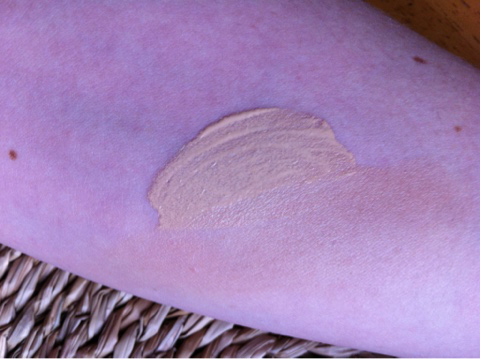 I have shade LF2 which is perfect for me and gives me a nice healthy glow. 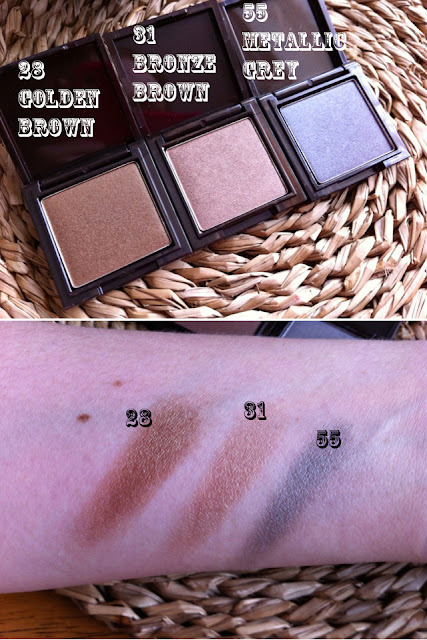 The quality of the eyeshadows are just as good as the blushers, they feel just like velvet and provide a nice layer of colour. Shades 28 & 31 work brilliantly together and shade 55 is beautiful on it's own. I will take close ups of these shadows when I next wear them. They are infused with Sunflower and Evening primrose oil which is perfect for the delicat eye area, so if you are very sensitive to makeup or anything on your eyes these would be worth a try. KORRES has a lovely range of shades perfect for all year round. Don't you think the swatches look like something from an UD Naked palette? I just love these shades so much. I would love to try some other shades which I don't normally wear on the eyes as a nice change, so if you can recommend any please let me know! What products have you been reaching for to create your daily looks? 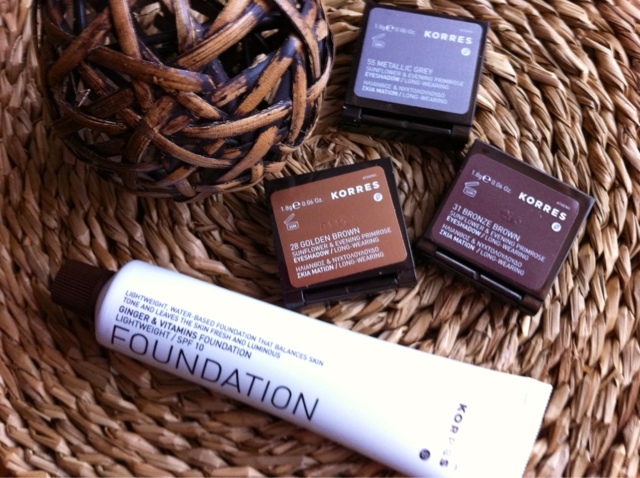 What Korres products have you tried?